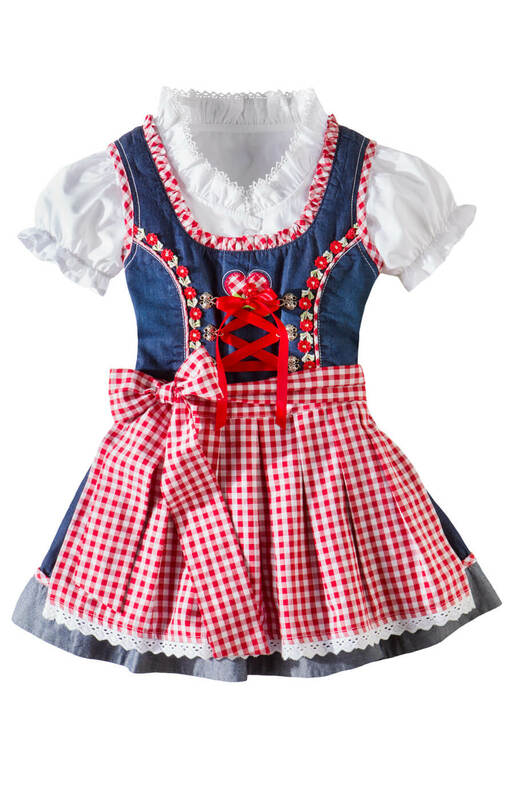 Children’s Dress Bine in True Blue. 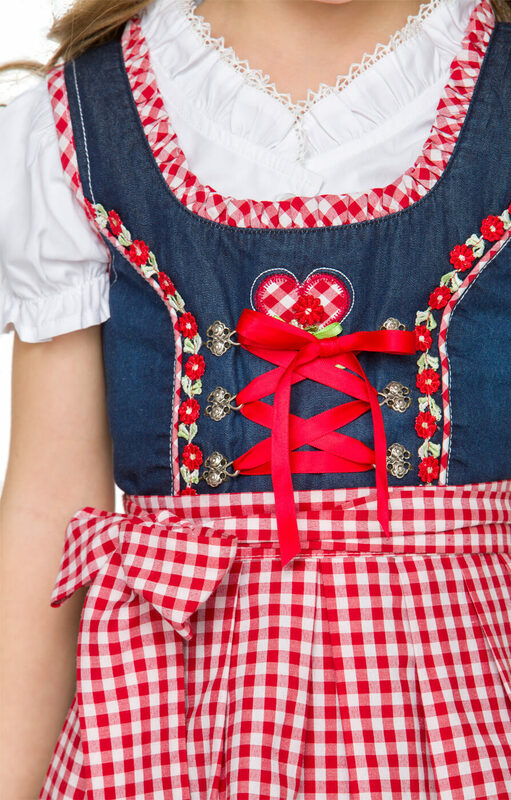 This cute and colourful dirndl features a modern take on the traditional German style that is sure to really stand out from the crowd. The bold blue of this 50% cotton and 50% polyester dress is adorned with lots of bright red touches such as the lacing up the front on the bodice and the pretty hem on the sleeveless bodice. 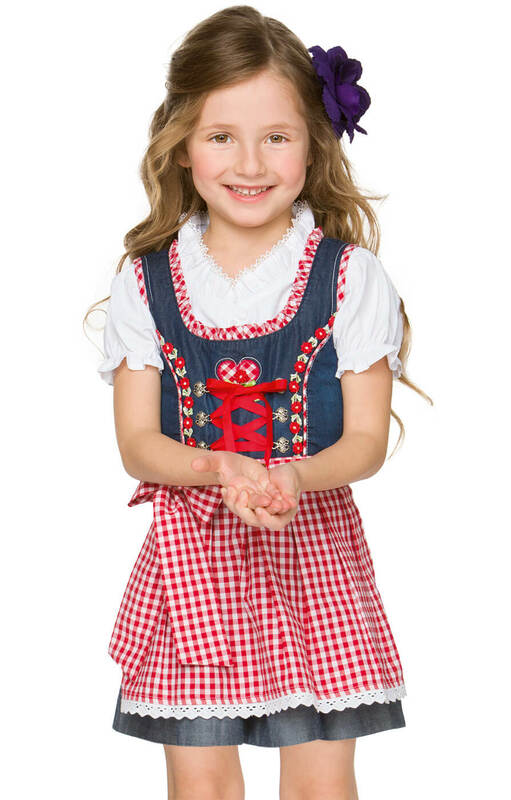 The dress is worn over a cute white short sleeved blouse with a lacy collar, while it comes complete with a red and white chequered apron that ties in place with a matching bow.